She was really worth waiting for: Carsal Nadima. 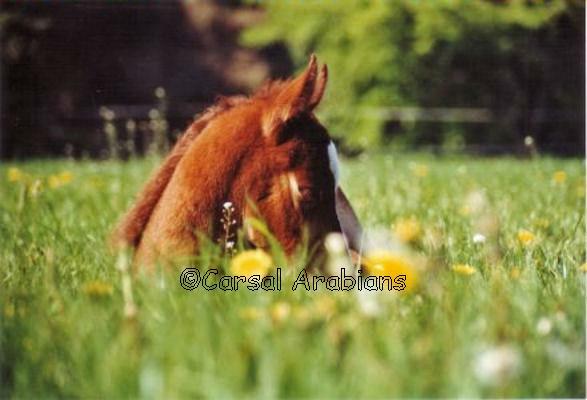 Since 1991 Carsal Arabians has been breeding Arabian Purebreds with a whole lot of passion. Besides correctness in body and mind, natural beauty with best pedigree, we are carefully looking for their health by keeping them in horse alike living conditions. Carsal Arabians are known as reliable partners in spare time as well as beloved and successful horses for breeding and sports all over the world. Well educated and in beautiful colours as black, chestnut and bay they win the heart of every visitor. For further Information don`t hesitate to contact Carsal Arabians.